For all DealsPlus shoppers, you can enjoy 25% off on Hot Deal items from Beauty Encounter’s beauty collection. We know you’re already enjoying 40%-80% off on these superb products, but you can even get more savings by applying this Beauty Encounter code for your purchase. From men and women’s fragrances to body creams and home accessories, everything you need to beautify yourself and your home, you can get them from Beauty Encounter. 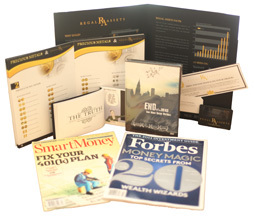 Take a look at some of these great products waiting for you. 1. 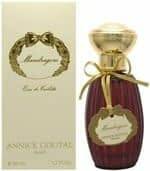 Annick Goutal Mandragore for Women eau de toilette spray. Annick Goutal has been known in creating wonderful scents for women. We’re sure you want to feel like a goddess everyday so spritz Mandragore on your neck. In an instant, you’ll feel desirable and mysterious while you savor the rich scents of combined mandrake powder, bergamot, star anise and ginger. 2. Yonka Phyto 152 Body and Bust Firming Treatment Cream with Rosemary. Are you experiencing sagging skin and stretch marks due to pregnancy? Have you been dreading the appearance of your legs after a long walk? You can say goodbye to stretch marks and all your postnatal dilemmas. 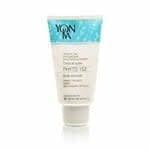 Use Yonka Phyto firming cream to strengthen and contour your skin. Surely, you’re dreaming of having back you’re youth so start using this on your bust, stomach and legs. Every application is a refreshing experience. Plus, you’ll enjoy the therapeutic scent it brings. 3. 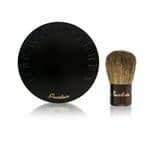 Guerlain Terracotta Mineral Flawless Bronzing Powder with Brush. Bronzing powder not only gives you a natural glow but it helps contour your face as well. This bronzing powder from Guerlain is guaranteed to contain only minerals. The product already includes a brush to sweep the powder across your face in a smooth fashion. Furthermore, it’ll leave your skin radiant while evening out your complexion. 4. KMS ColorVitality Blonde Leave-In Creme. Loving your blonde hair? Whether it’s natural or color-treated, a light or bleached hair needs extra care. Use this KMS leave-in cream designed to detangle and protect the hair from harmful UV rays. The result is a smooth and conditioned finish even when exposed to direct sunlight. 5. 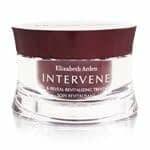 Elizabeth Arden Intervene Peel & Reveal Revitalizing Treatment. A whiter skin can be easily achieved through exfoliation. Just by applying this spa-like mask, revive a whiter and brighter complexion in just 15-20 minutes. 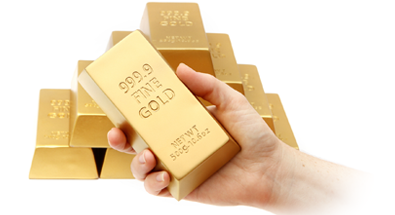 Elizabeth Arden is luxury brand known all over the world so expect a spa-like treatment even at your home. 6. Seki Edge Eyebrow Scissors. Plucking your eyebrows isn’t enough to achieve that perfect shape. 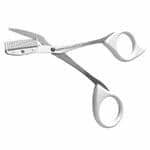 You also need a pair of eyebrow scissors to trim brows fast and easy. What’s great about this Seki Edge product is that it has a comb attached so while you’re cutting, your brows are already getting the shaping and fixing they deserve. It’s made of stainless steel blade for longer use. Plus, you can share this with your husband when it’s due time to cut his beard or moustache. Maximize your discount benefits at Beauty Encounter.